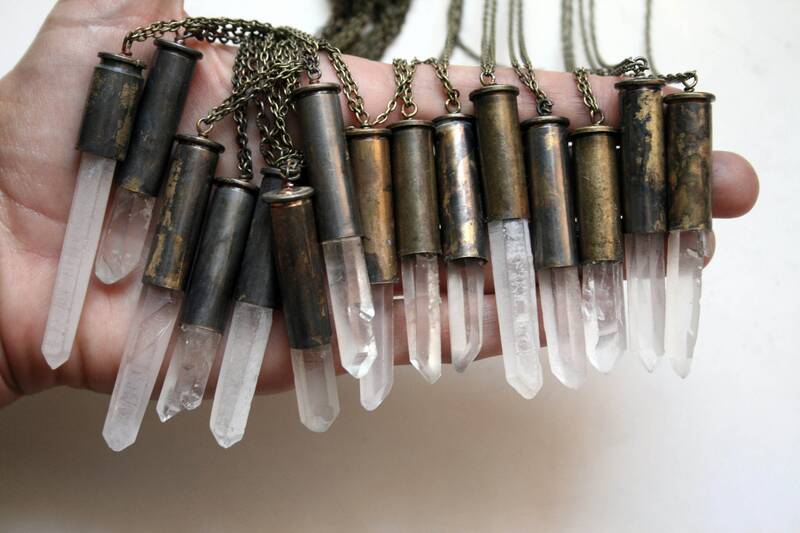 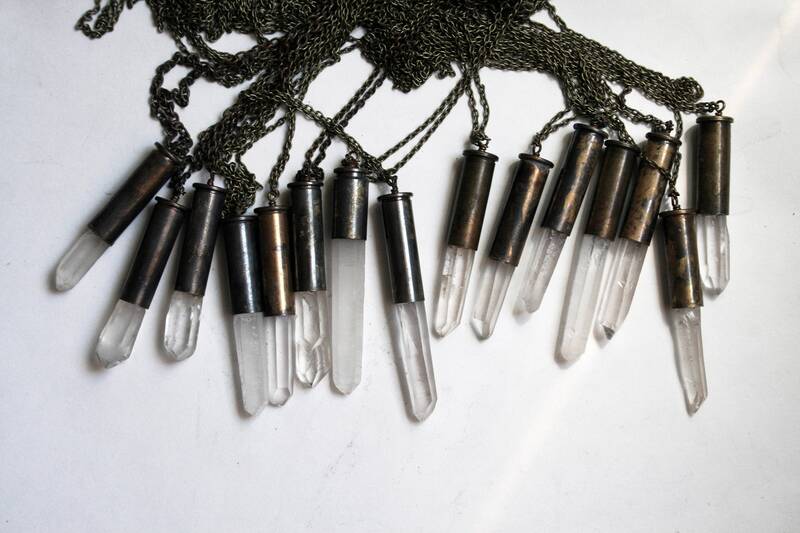 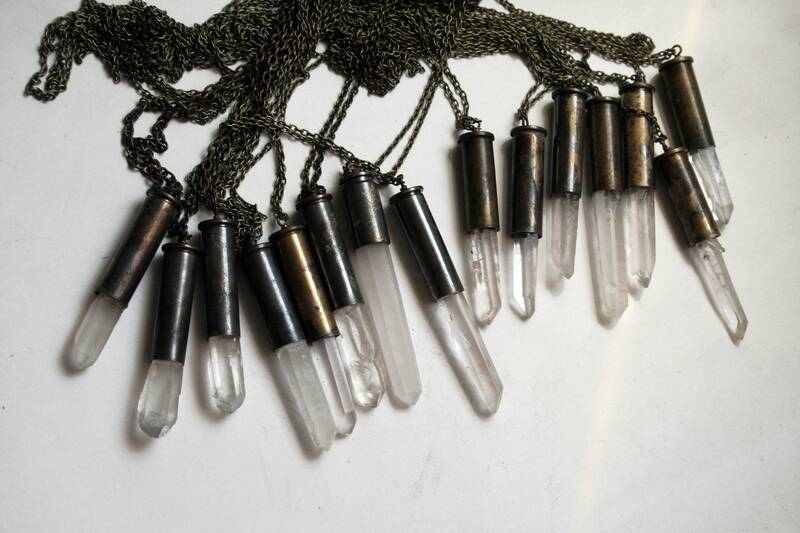 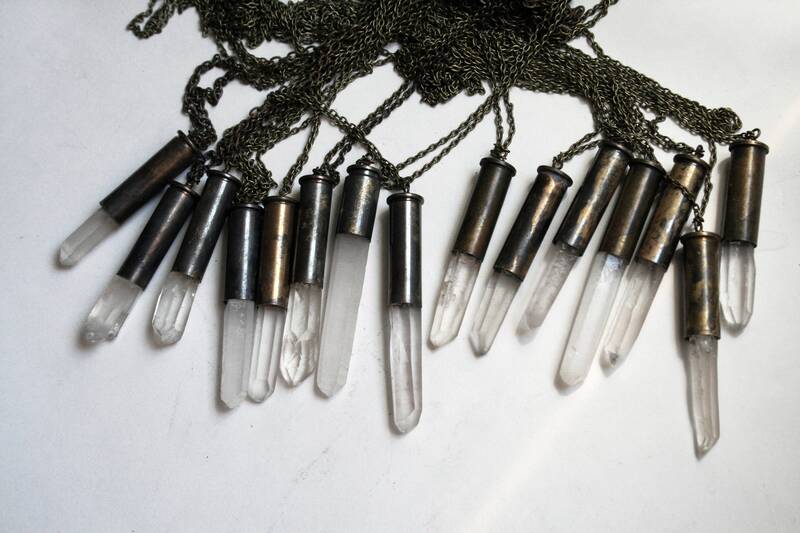 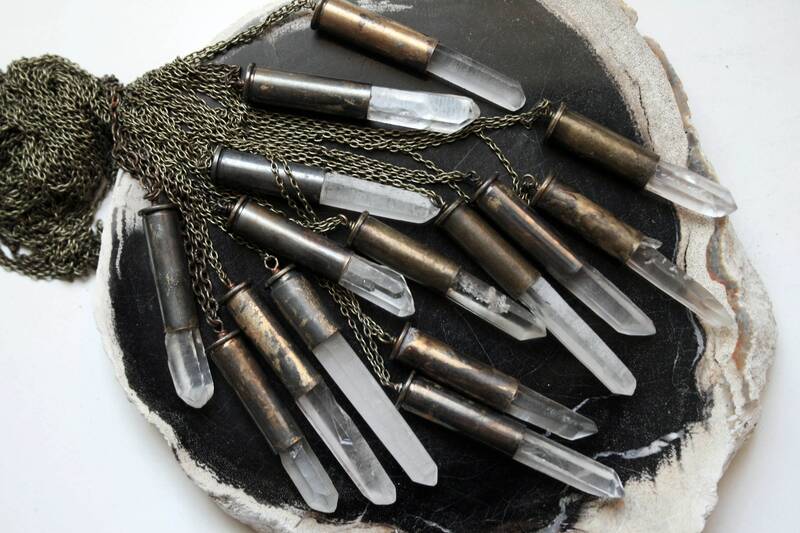 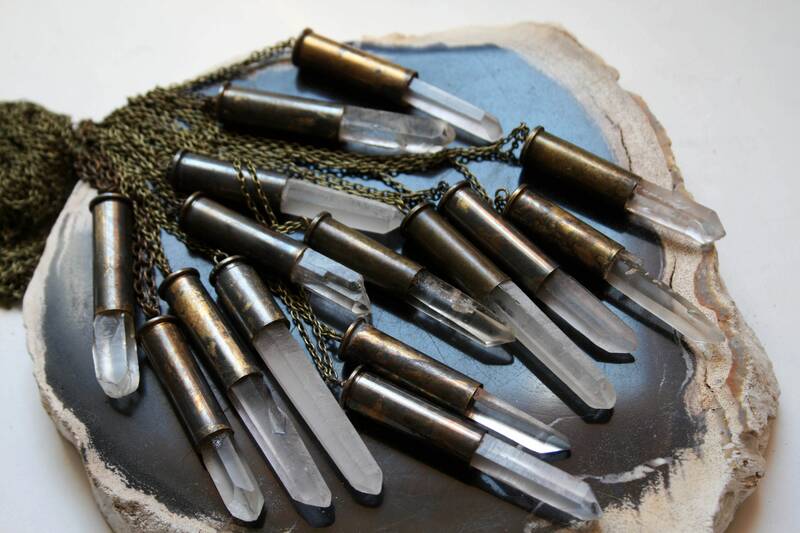 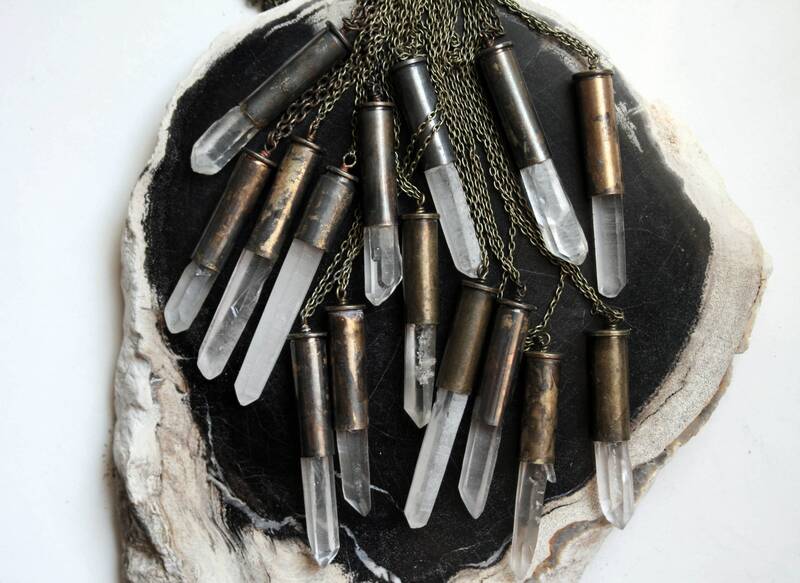 One necklace featuring a terminated natural raw quartz crystal point in a recycled brass bullet shell. 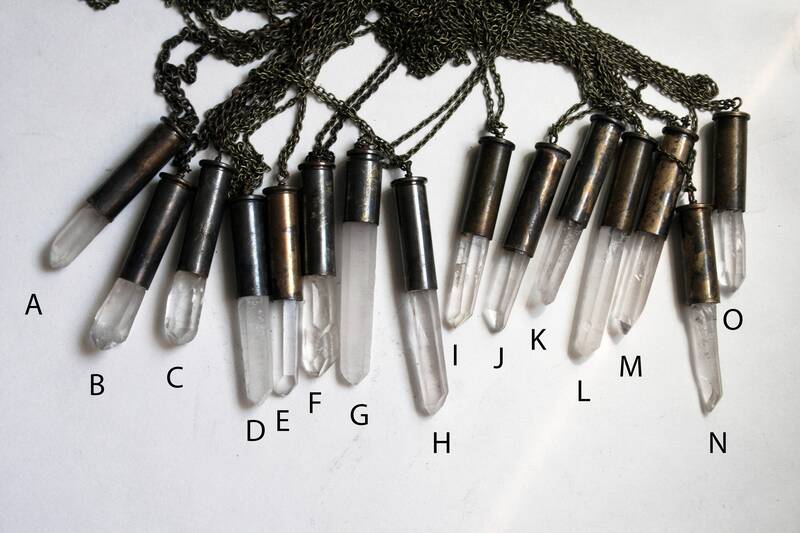 Please note these are natural crystals, some appear nearly clear while others are more opaque. 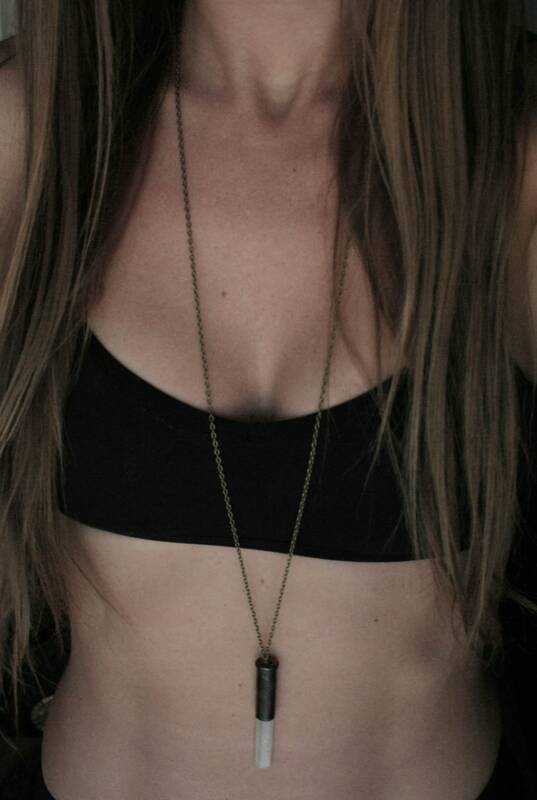 Most have irregularities in size, shape, or color that are naturally formed. 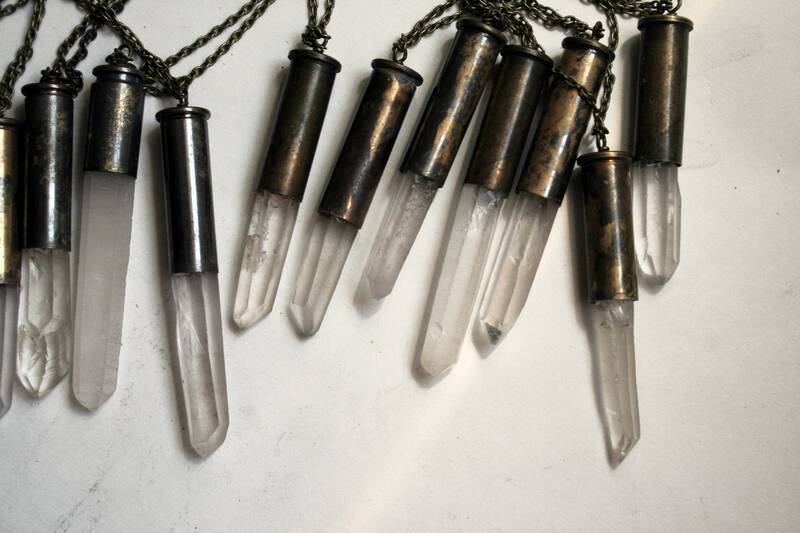 Cool pendant - thank you so very much.